In Episode #4 of the Change Project Giles Gibbons suggested that the separate nomenclature of ‘charity’ and ‘business’ is potentially becoming ever more irrelevant. What is more important are the values that are brought to bear and the impact an organisation has. In today’s podcast Neil Almond interviews Sophie Livingstone, Managing Director of Trustees Unlimited with the aim of exploring some of these ideas further. 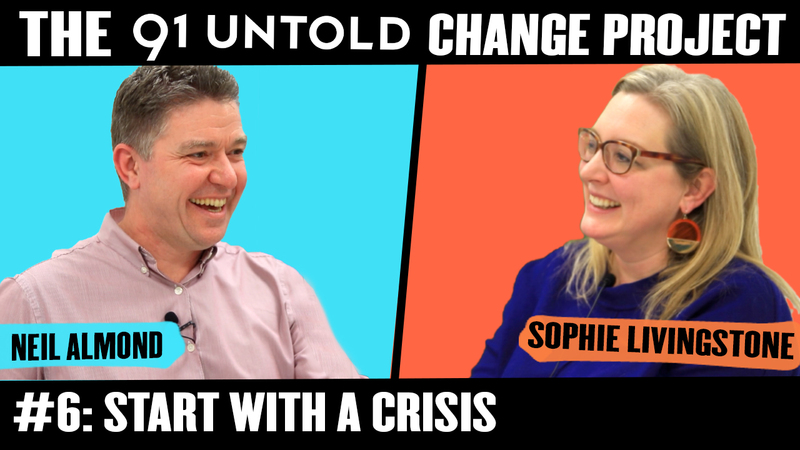 Sophie has great experience as a social change activist and is perhaps best known for her leadership of the pioneering youth charity City Year, where, with her team, she took it from start-up to a hugely successful organisation with three regional bases. Sophie has always cherry-picked the best of business and blended it with leading thinking from the charity and social sectors. This podcast explores how to help people coalesce around a central vision for change by developing a sense of urgency and alignment around a ‘crisis’. Sophie explores how to lead through change and how to maintain consistency of values and culture as you grow. She also shares some of her learnings around how to measure success and get funders eating out of your hand. “Sophie Livingstone joined Trustees Unlimited as its Managing Director with a wealth of charity experience. She is currently Chair of early years charity, Little Village. She is also a trustee of the Royal Voluntary Service and of Generation Change, a youth social-action charity which she co-founded in 2013. Sophie led the organisation as its Co-Chair until September 2017. Prior to this, Sophie was the founding Chief Executive of youth volunteering charity City Year UK, from November 2009 until December 2017. Sophie spent just under two years as Deputy Chief Executive of the Private Equity Foundation. She has also worked in public affairs and communications roles in a range of organisations including Groundwork UK, The Foyer Federation and ITV.